After an emotional day of testimony on Capitol Hill, a late Thursday report from Townhall citing a Senate insider reveals that Brett Kavanaugh has the votes to make it out of committee and will be confirmed on the floor for a seat on the U.S. Supreme Court. Thursday's proceedings saw a rollercoaster of emotions from both Brett Kavanaugh and his accuser, Christine Blasey Ford - who claims he groped her at a high school party in 1982. 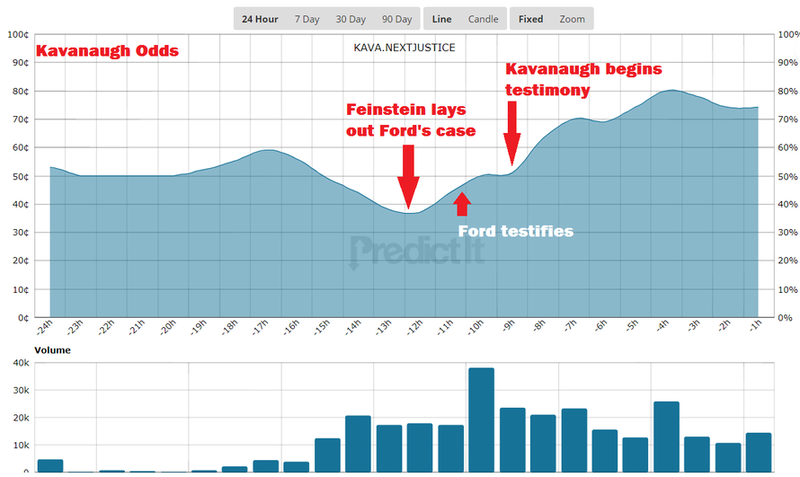 Ford's testimony was considered compelling, with Senator Orrin Hatch (R-UT) calling her an "attractive, good witness," however betting site PredictIt showed Kavanaugh's odds of confirmation steadily climbing after ranking minority leader Dianne Feinstein (D-CA) laid out Ford's case. He stands at 74% as of this writing. Kavanaugh, on the other hand, shook the building with righteous indignation - slamming Democrats for smearing his family name and his lifetime of achievements. 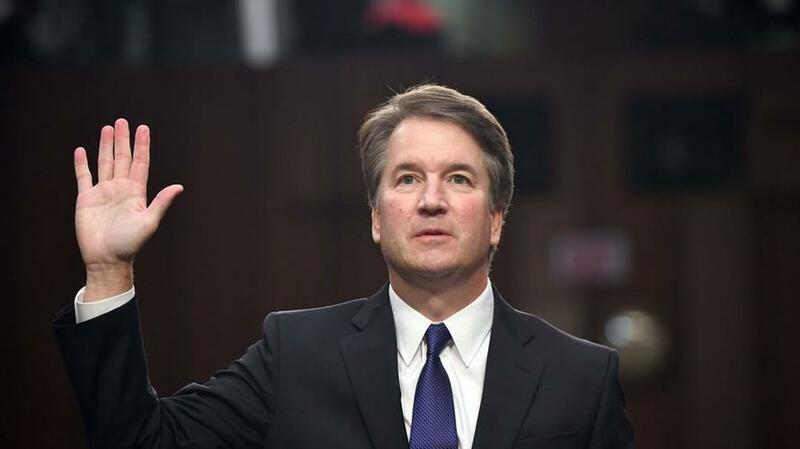 His opening statement was gripping and emotional - with Kavanaugh breaking down into tears several times, and seething with rage during other pivotal moments - such as when he excoriated Feinstein for withholding Ford's letter from the committee for several weeks before it was leaked to the press. Feinstein was taken aback, and immediately pivoted to a softer tact which was ultimately not convincing. The Democrats attempted several times to corner Kavanaugh on why he hasn't advocated for an FBI investigation into the allegations against him, to which Kavanaugh stated several times that this would ultimately be unproductive since the agency doesn't render an opinion, which was the Judiciary Committee's job. Undoubtedly contributing to pro-Kavanaugh sentiment among GOP Committee members was Senator Lindsey Graham's fiery condemnation of the Democrats for turning the Supreme Court hearing into a circus. Democrats are now suggesting that Kavanaugh isn't fit for the Supreme Court because of his emotional testimony over accusations that will hang over his head for the rest of his life, confirmed or not. Kavanaugh's Senate confirmation vote is scheduled for Friday morning at 9:30 a.m.